Aluminium Artistry Gates & Automation is New Zealand's leader in design and construction of aluminium gates. 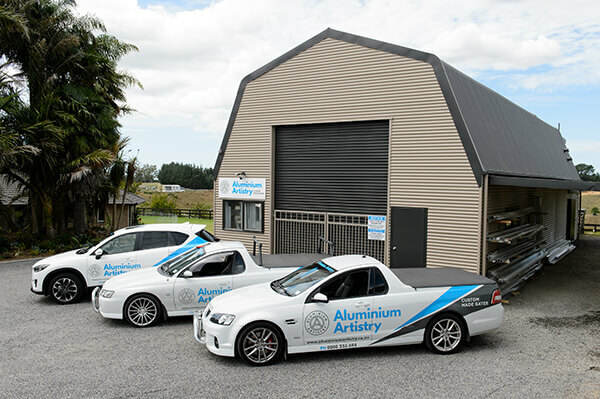 Aluminium Artistry was founded 36 years ago in Tauranga and has remained in New Zealand ownership right until the present day. The company has grown from strength to strength and is acknowledged as the leader in design and construction of aluminium gates. We create aluminium driveway gates, pedestrian gates, aluminium sliding gates, single swing gates, garden gates, aluminium louvre gates, double gates, pool gates and pool fencing - high quality gate and automation packages that can meet every budget. Our hand crafted gates are manufactured right here in New Zealand, then finished in a high quality powdercoat colour of your choice. Our customers have the benefit of working with one specialised company here in New Zealand giving them exceptional service and after-sales follow-up. The company promise has always been to create a 100% New Zealand made product which keeps valuable business where it belongs- in New Zealand, not off-shore! In fact, many companies in our industry advertise "New Zealand owned and operated" with the products they sell being manufactured off shore from low grade materials, then imported into the country. Generally these products are of poor quality with a minimal manufacturer’s guarantee. It makes sense to both support New Zealand made, and gain a superior product, full after-sales service and a genuine guarantee. Aluminium Artistry has a large range of gate designs which you can view in our Photo Gallery. OR we can design and make to your own individual design. All our gates are built to facilitate gate automation now or in the future.